Discussion in 'General Discussion' started by Kitty Reeves, Jun 15, 2014. Has any read "The All-New Ghost Rider" yet? There's only three volumes out, and I read both and fell in love with it! The comics style is very interesting too; it's nice to see American comic artist breaking out of the "All American comics must look exactly the same" mindset. Also, I never liked the original Ghost Rider all that much (Ugh, Nic Cage) but the new version is just amazing. 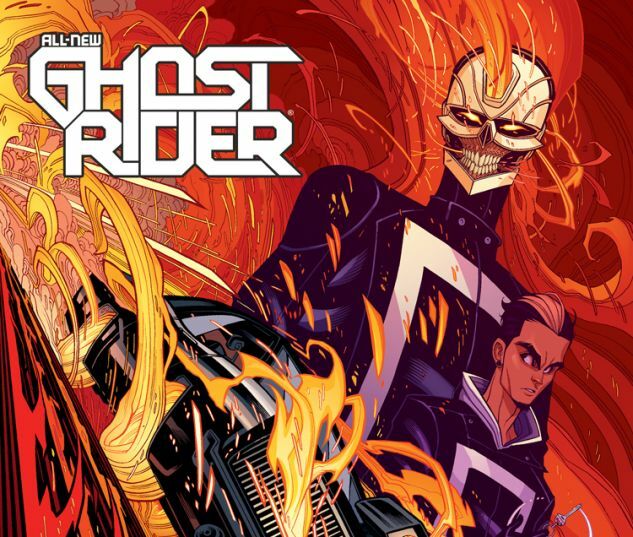 In March 2014 new Ghost Rider series debuted featuring a new character, Robbie Reyes, taking on the eponymous mantle. He will be using a car instead of a motorcycle and live in East Los Angeles.